January 25, 2017 Dr. R. A. It is often said that whenever one is upset before they respond they should count to ten. 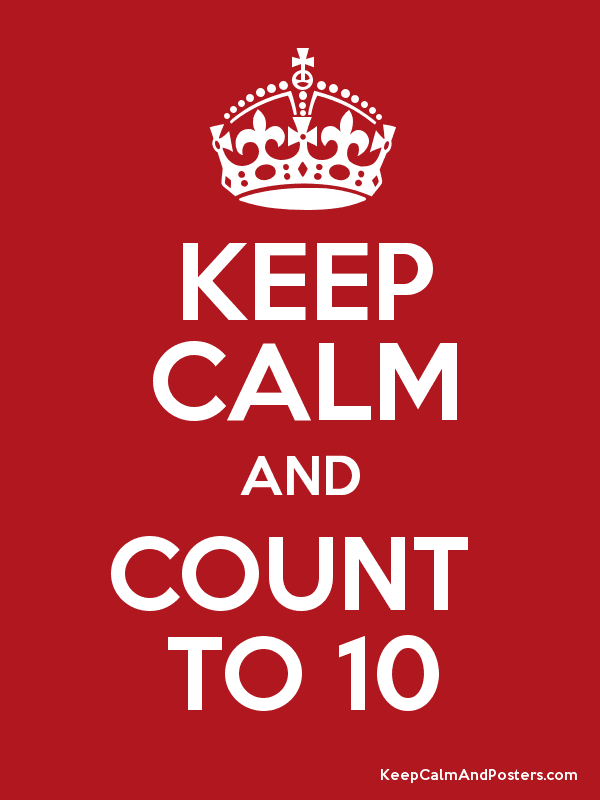 But does counting to ten really works? It is a literal or figurative count to ten? How fast or how slow should that person count to ten? There is no real data as to how effective counting to ten is or if people really count. So I say instead of literally counting to ten just take a deep breath and ask yourself “will this matter five years from now?” If whatever you are annoyed, upset or blatantly angry about will not matter in the future then just walk away.